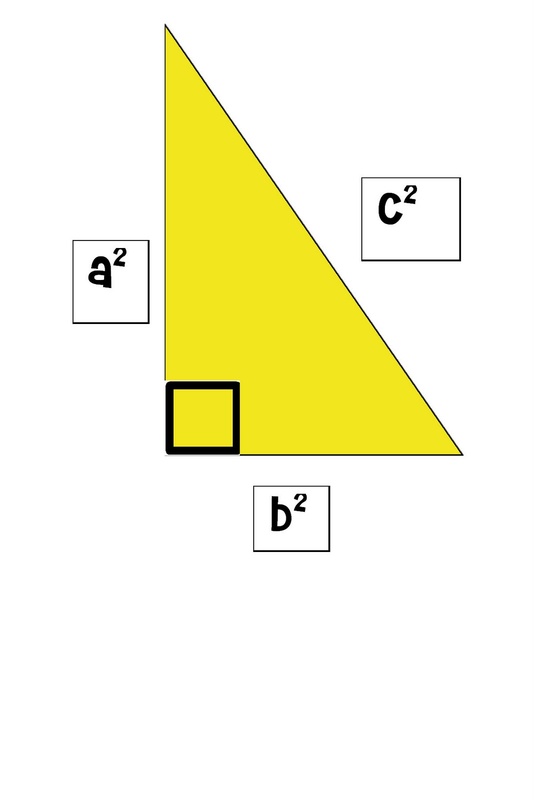 Years ago, when my very own visual learner saw triangles in her algebra homework, she panicked. "Hey, that's geometry. Why are they throwing that into my algebra homework?" she asked. I had previously substituted in a high school geometry class for weeks. I felt qualified to make up a story to help. One of my teacher friends yesterday asked me to remind her of the story of the Hippo and the Hypotenuse. She said her kids still remembered that. 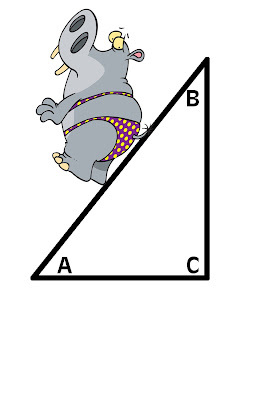 Underneath the first silly story is another to help you remember sines and cosines. 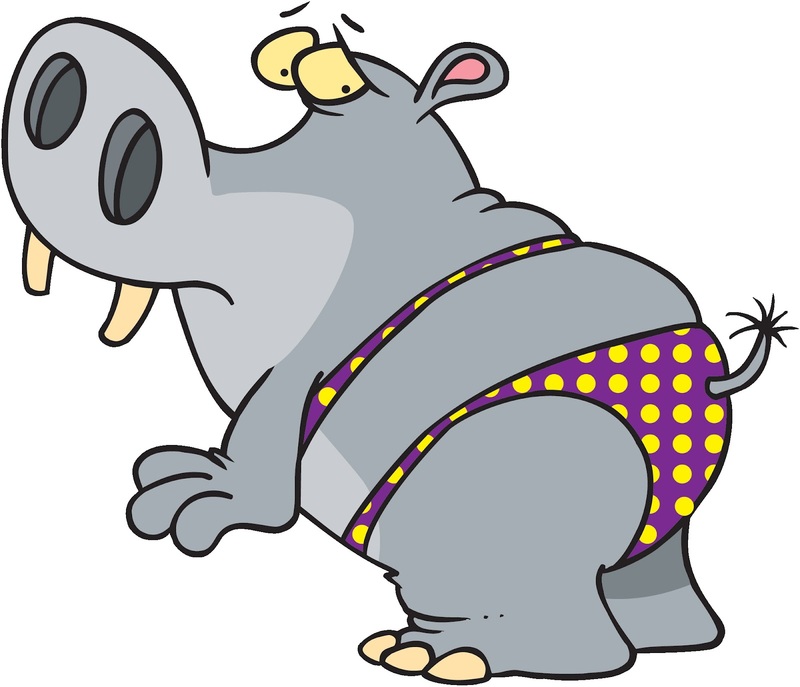 Once upon a time there was a Hippopotamus (Sounds kind of like hypotenuse doesn't it?). He loved to slide down things. Lots of things. But, he was so big and so heavy that he kept breaking everything. So, a kind hearted mathematician (yes, they are out there) who knew about construction, decided to build him a ramp. He built one that looked like the one in the picture below.
" I have to build it just RIGHT," he said. "Or that hippo will smash it to smithereens." So, he built what looked like two sides of a wall. They met at the corner with a RIGHT angle. He added a little box in the corner for extra reinforcement. (Since hippos are so heavy.) He also did lots of math calculations. You need a silly reason for the letters and why they are squared. The a represents ANIMALS. Some can climb up. The b represents the BASE, as in baseball. Bases are on the GROUND. The c represents CRAZY...as in a hippo sliding down a ramp is just plain crazy. Tell them the ramp builder squared everything to make it TWICE AS STRONG. 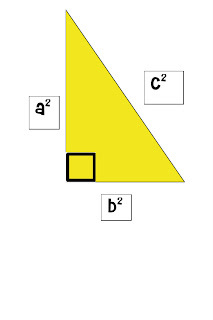 This formula can ONLY be used for a right triangle. It is only used for finding lengths of the sides. Let's use it with a real math problem. Solve for x in he diagram below. This problem looks pretty scarey to a visual learner. But, remind them that the X is the hippo, and that this is a right triangle. If you square the a leg, the answer is 9 cm. 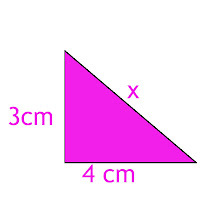 If you square the base, the answer is 16 cm. If you add them together, you get 25 cm. To find x, take the square root of 25 which is 5. X= 5. 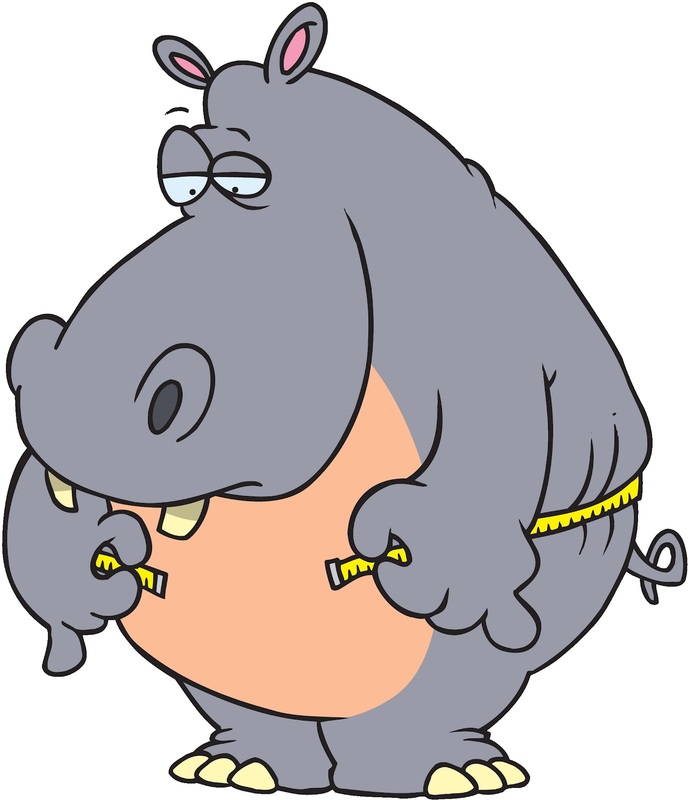 The reason I originally came up with the idea of the hippo was that the high school kids couldn't remember the sine and cosine formulas. Well, I told them, in both equations the hypotenuse is at the BOTTOM of the equation. 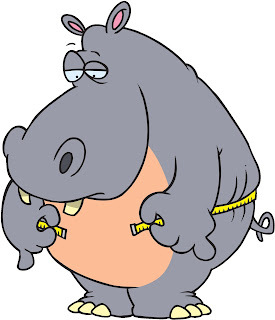 Then I went on to describe how the hypotenuse sounds like hippopotamus. They laughed and started focusing on the explanation. Then I told them the story above about how she likes to slide down things. (I put her here in a bikini to help you visual that she's sliding down into a pool). Then to help them find the side of a triangle that is the sin, I said compare it to a SIGN (sounds the same). A SIGN needs to be big enough for you to see it from a distance and straight across from you. Since, you are the angles, I told them, find the side of the triangle ACROSS from you and read the SIGN. They got it. This really seemed to help them. I hope it helps your visual learner too.